Situated within the picturesque countryside of Kavos, the Agnes Studios & Apartments offers comfortable accommodation and a full range of facilities, such as a swimming pool, a safe and a sun tanning bed. Each apartment is equipped to make your stay comfortable and includes a hair dryer and a kitchenette. Whatever the purpose of your trip, the Agnes Studios & Apartments is an ideal place to stay in Kavos. 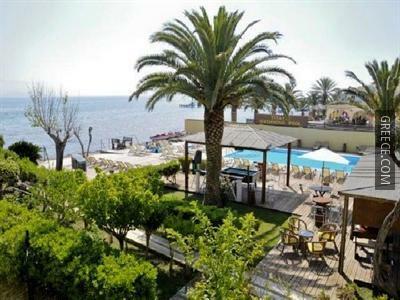 Guests are able to visit Agios Georgios, located within an easy drive of the property.